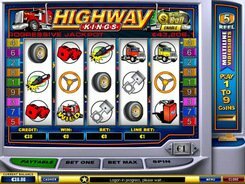 How to download slot machines on your PC? Strategies for playing 3-reels online slot machines. Play with profit on slot machines! Have a perfect vacation getaway and boost your positive emotions with the Station slot game featuring three reels and eight win lines. The slot symbols depict means of transport that can carry you to your dream destination all over the world, including an airplane, bus, train, automobile, ship and even a submarine. You can wager a maximum of three coins per line and set up a coin denomination changing its size between $0.01 and $5. 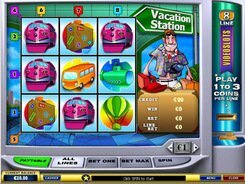 The suitcase is the slot’s scatter symbol that multiplies your total bet depending on the number of scatters that have occurred anywhere on the reels. The grand prize of 4000 coins is paid out for five Airplane symbols in a row. Other regular icons bring less generous payouts, yet they are able to add in your bankroll. PLAY FOR REAL MONEY!